short & sweet ( and perpetually polished): My favorite in a long time! When I picked up the new sally hansen triple shine seanic over the weekend, I couldn't wait to try it. 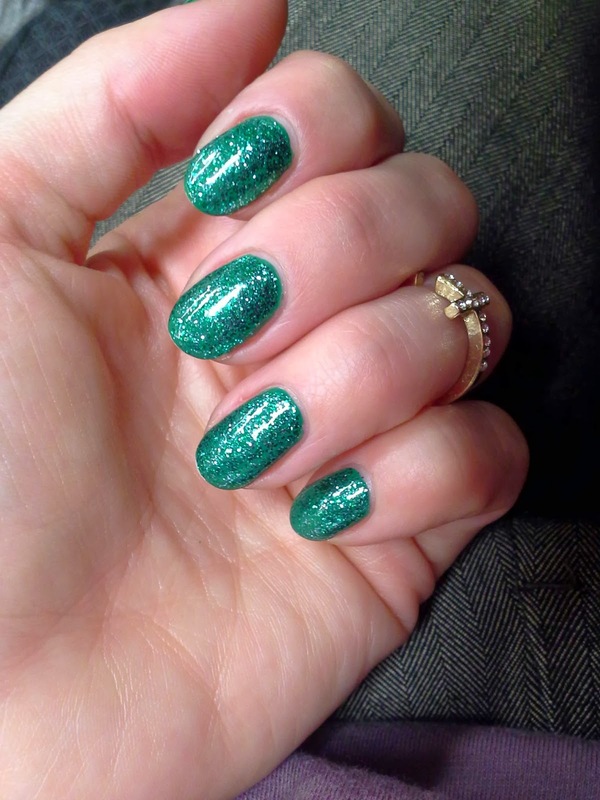 I chose orly lucky duck as the base color and topped it with 3 coats of seanic. 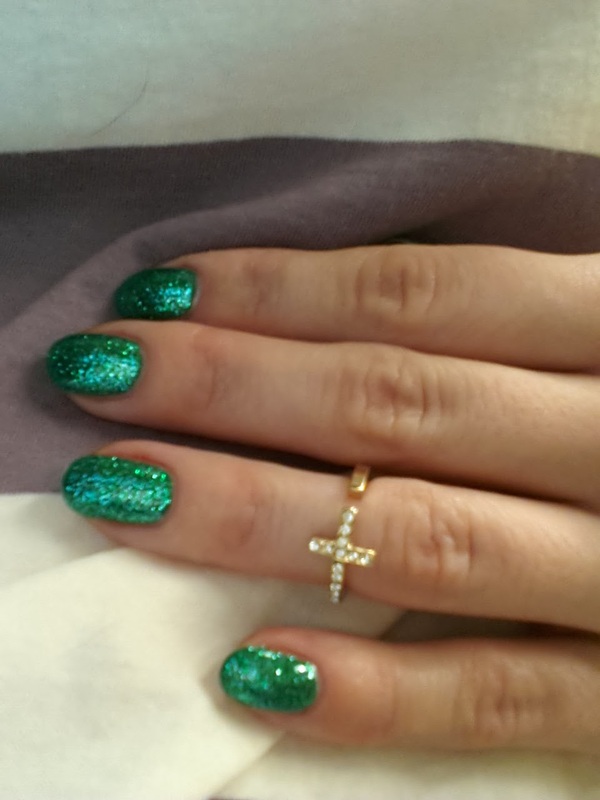 I seriously could not stop looking at my nails all weekend. This is so sparkly it glows!